More than 150,000 students study social sciences at the undergraduate level each year in the UK. Given this popularity, most universities offer degrees in various social science disciplines (economics, politics, philosophy, anthropology). Some universities, however, have earned reputations for their unique course programming in the social sciences. Today, we are going to explore 5 of the best social science courses in the UK. Many point to PPE at Oxford as the original multidisciplinary social science degree in the UK. Students of PPE benefit from a flexible degree, which allows them to specialize in any component of the three-pronged course. 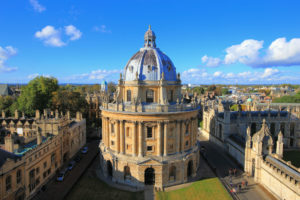 In addition, students take part in highly individualized Oxbridge-style tutorials, in which groups of two to four students discuss their weekly reading/writing with a tutor, usually a world-leading expert in their field. Finally, PPE at Oxford boasts an impressive list of alumni, including countless MPs and prime ministers, too. UCL has recently introduced a degree program in history, politics, and economics, which has many similarities to the aforementioned three-pronged Oxford degree. Likewise, students are able to narrow their studies in the second and third years of the degree, ultimately writing a dissertation in one of the three disciplines. What sets this degree apart from other multidisciplinary ones is its inclusion of history over philosophy. 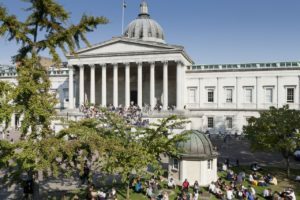 Many universities now offer PPE programmes modeled after that of Oxford, but UCL is unique in designing its own degree of this sort. Like most undergraduate degrees in Scotland, international relations (IR) is a four-year degree at the University of Edinburgh. In their first two years, students will study a predetermined core of introductory modules related to IR. Afterward, the degree programme allows students to narrow the focus of their studies with the help of their academic advisors. 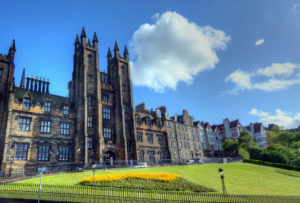 While other institutions allow their students to specialize within set parameters, the IR program at Edinburgh supports students in devising their own courses of study in the second half of their degree. 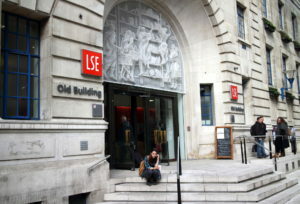 LSE routinely ranks in the top ten universities worldwide, and its BSc in economics continues to be one of the most popular social science courses in the UK. Studying economics at LSE is competitive and challenging, but definitely worthwhile. This program, in particular, is famous for its mathematical rigor, which explains why it earns students a BSc instead of a BA, like many social science courses. This degree, which earns students a joint BA and BSc, is unique on account of its incredibly broad curriculum. Students choose their modules from dozens of social science selections, sculpting their own degree programme. Central to all BASc students’ learning is the “core” modules, which touch on theories of knowledge and epistemology. Because of its unparalleled breadth, the BASc program at UCL offers students a unique opportunity to craft the social science degree of their choice. Of course, this list is by no means comprehensive, but these courses are the ones which stand apart from most social science degrees in the UK. Each offers a unique approach to their respective fields, giving students a one-of-a-kind educational experience. Curious about outstanding courses in other disciplines? Stay tuned for our future articles! To learn more about how we help our students, please visit our website or call us at 2972 2555 to schedule a FREE 30-min consultation with one of our admissions consultants. The Edge Learning Center is Hong Kong’s premier Test Preparation, Academic Tutoring, and Admissions Consulting services provider. Founded in 2008, The Edge has helped thousands of students improve their ACT and SAT scores as well as their IB and AP grades. The AC team has just finished off another successful period in which student gained early acceptance to schools such as Columbia, MIT, University of Chicago, and more! Check out the rest of our 2018-9 ED/EA Admissions Results!